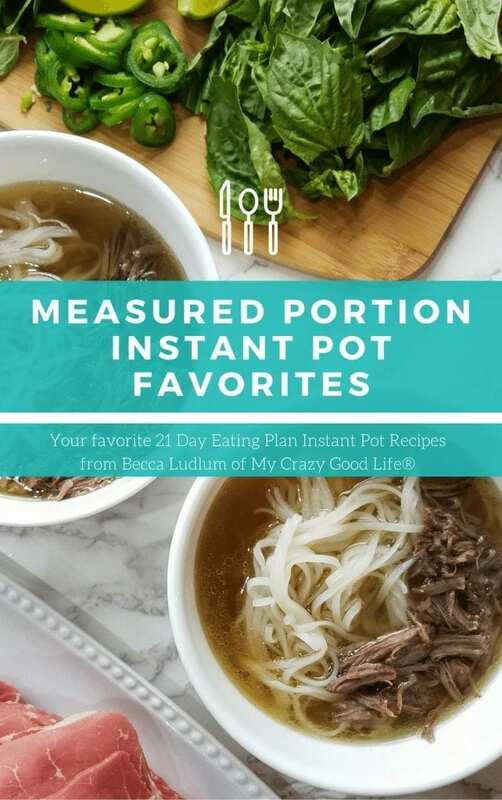 This printable eBook contains all of your favorite recipes that can be found in my Instant Pot Favorites cookbook, but with 21 Day Fix container accounts! 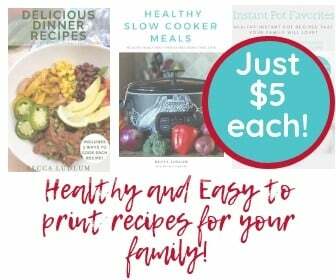 This 21 Day Fix Cookbook is an easy way to print the recipes on My Crazy Good Life in one document with no advertisements, and has a clickable link to each recipe (if you need to see more pictures or watch a video tutorial) if you’re saving to your desktop. For a list of included recipes, see below. After purchase: Check your email for a message from My Crazy Good Life–your download link will be in there! You’ll have 72 hours to download your e-book!